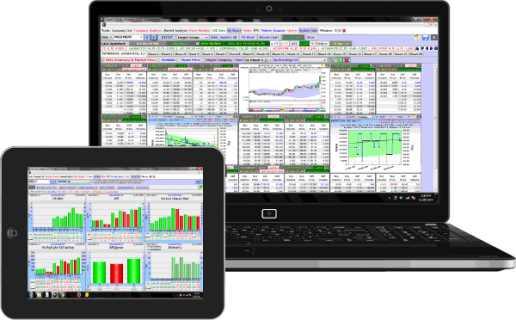 Powerful and modern stock market analysis software for DSE & CSE that makes you a smart investor. 24x7 hassle free fast online share trading platform with Advanced and Algorithmic trading. Loved by thousands of individual investors, employees of brokerage houses and institutional investors in Bangladesh. Rushing after rumors gives you nothing but wrong information and loss of your hard-earned money. Instead, secure your investment by doing market analysis with easy-to-use modern tools and up to date data. Smarter Stock gives you more than 50 technical indicators to help you find the right time to buy & sell any share. Pattern Scanner and Buy/Sell signal finder will save you time to research on all the listed companies. 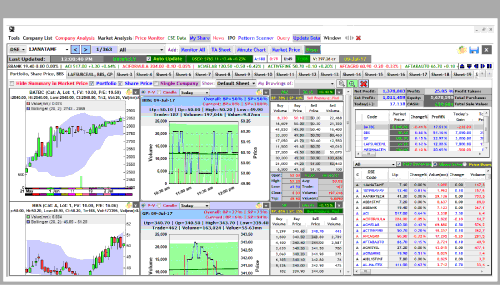 You can also feed data to AmiBroker in real-time. Don't waste your time visiting different websites to find out financial data of various companies. We give you unparalleled fundamental analysis data and charts of more than 25 years, beautifully presented in a single software. Every minute is important in the stock market during trading hour. A spike in volume at any time can indicate a market move. Powerful minute charts of Smarter Stock will not let you miss any single opportunity. Beautiful dashboard that makes market monitoring easy. With Smarter Stock, you can monitor Minute Chart, Market Depth and Technical Graph of hundreds of your favorite companies at a time in a single multi-tab dashboard. Our customers heavily use this feature during trade hour to monitor their portfolio and target companies' share. All you care about is your portfolio. Therefore, you need to know whether your preferred stock has hit your target price. And obviously, there is no alternative to learning how to do stock business smartly. Smarter Stock has the best and most powerful portfolio management tool in Bangladesh. 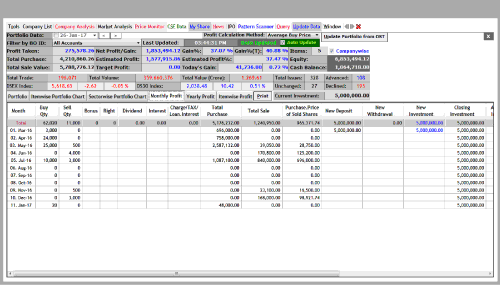 You can monitor your portfolio in real-time, check monthly, yearly and item-wise profit. It helps to check your trading performance and adjust your strategy. You cannot monitor the market because you are busy at work. But you do not want to miss buying or selling a share when it hits your target price. Smarter Stock sends you SMS alert as soon as the market price matches your target price. To be a successful investor there is no alternative to learning how to analyze the market. We run regular training programs on technical and fundamental analysis, portfolio management and advanced strategies. Our highly qualified trainers will make sure you grasp the technologies for winning. Why will you waste your valuable time by going to the brokerage house for placing buy/sell orders, or depositing or withdrawing money? We know how painful it is when your trader doesn't pick up the phone for taking your orders, and ultimately you get frustrated. EcoSoftBD IT offers you complete online share trading facility. Trade from anywhere, anytime. Get your money in your bank account with a single click. Our secure online share trading platform gives you 24x7 online order submission opportunity from any browser of your PC, tablet or mobile phone. 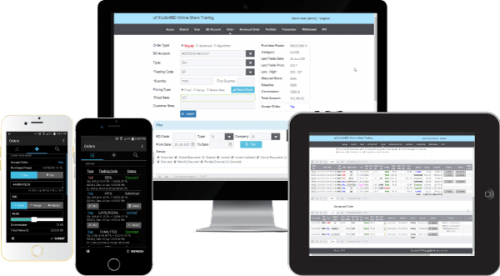 We offer Advanced and Algorithmic order which automatically places buy/sell order based on your trading strategy. Download our mobile app or visit ost.ecosoftbdit.com. You don't need to come to our office to deposit and withdraw money from your BO account. Just upload the deposit slip on your online share trading account, or click a single button to withdraw money from your BO account. IPO is always a profitable and safe investment option. In our platform, you will see the latest IPO information and can apply for IPO within a second. No matter how many BO accounts you have, your single online account will cover all of them. If you have BO accounts with other brokerage houses we can help you to join us. Employees/researchers/CEO's of the following institutions have used Smart/Smarter Stock. Thousands of individuals, small, professional and big investors are happily using our products and services every day.